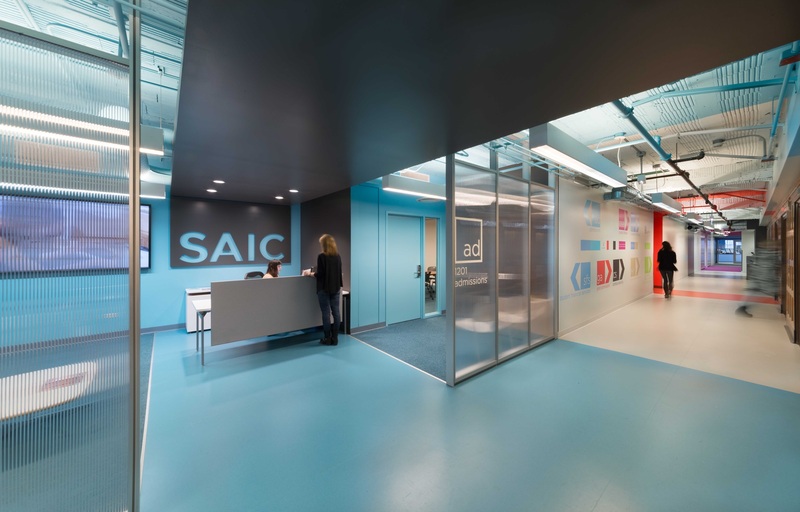 SAIC’s distinctly urban campus offers its students a plethora of advantages in terms of providing a sociocultural learning environment, which students of a more traditional learning institution may lack access to. Despite the countless advantages that an urban campus provides, the city fabric and building stock also provide interesting challenges with regard to the means by which students and faculty interact with each other and their environment. It is exactly for this reason that the design of learning spaces in a dense urban context must be analyzed and reconsidered in a critical manner. One of the most important aspects of any campus are the means of way-finding provided, procession, and interface experience. 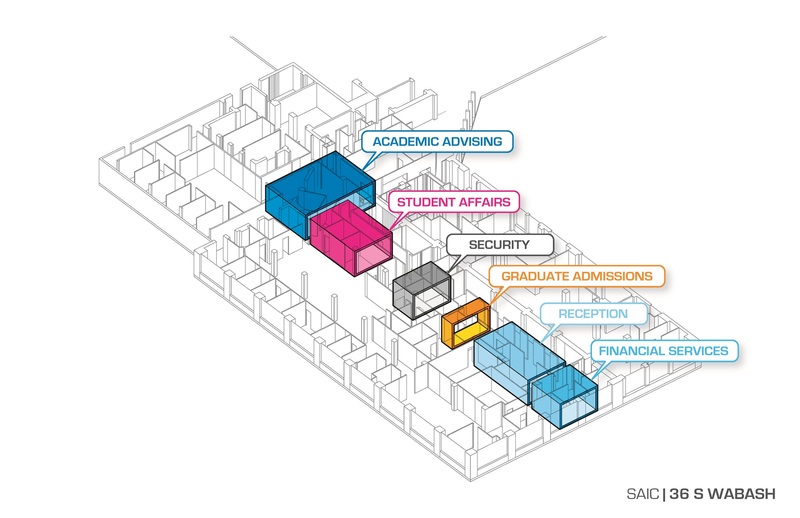 In the case of SAIC, the buildings occupied are obviously more vertical than sprawling. Therefore, we must analyze the experience which students and faculty will encounter on a daily basis. From where to enter the building to riding the elevator, all of these moments are important user experiences, and must be considered when designing and renovating the spaces within. The ease by which one can locate their destination and their experience along the way can shape their opinion of their surroundings, and can also have a direct relation to productivity. The Admissions office for SAIC is no different. Often serving as a student’s first impression of the school, the character and school identity were paramount to this project. 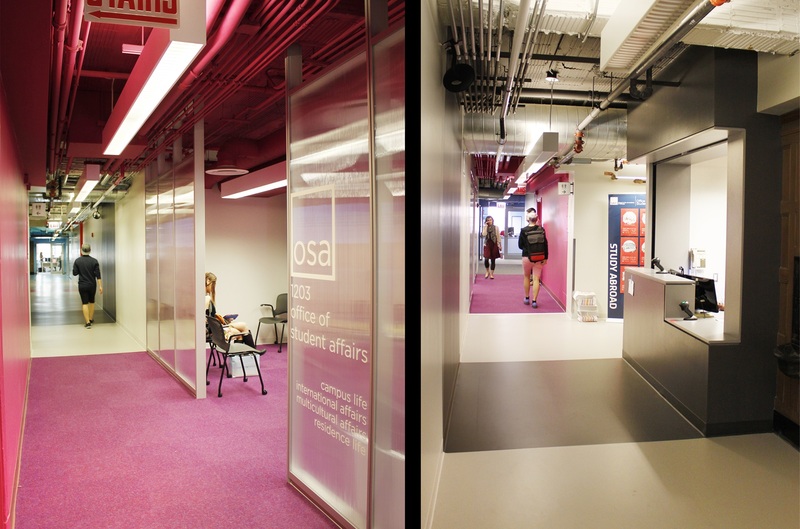 Prior to JGMA’s intervention, the Admissions office was a long narrow corridor dividing students from a multi-department office labyrinth. By opening up the corridor to the department-specific reception areas, the spaces became open, welcoming, and places of social congregation. 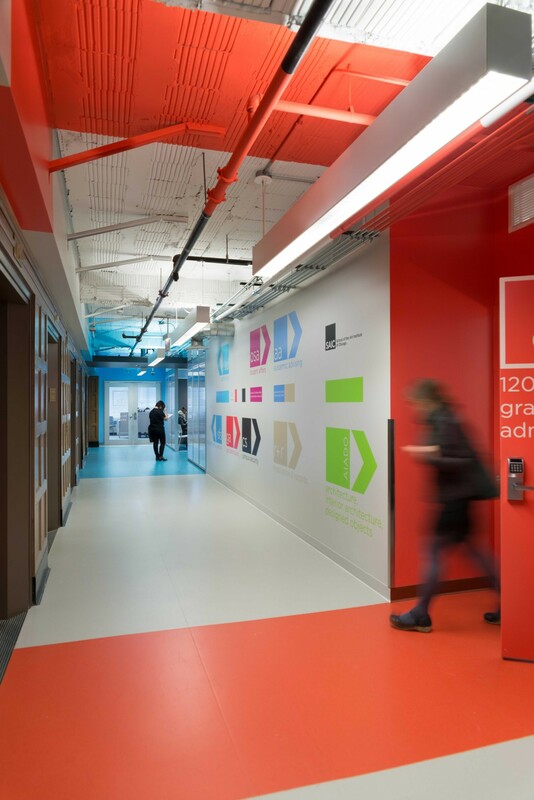 Finally, through the addition of monolithic color schemes per department reception areas, and corresponding way-finding graphics, students are able to easily navigate their surroundings in a much more efficient and comfortable way.